Web Site And E-mail hosting for the Greater Asheville Community. 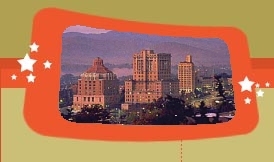 AshevilleComunity.org is YOUR community website for the Asheville North Carolina and Western North Carolina region. Its purpose is to provide advertisement and SPAM free web space that is free or low cost for individual groups as well as free and low cost Web based and POP/SMPT email that is not tied to a specific ISP. In addition AshevilleComunity.org will host community focused based services on its site. This site needs volunteers and your help.� It is a non-profit website.� All money taken in goes to improving the web site or will help fund various community groups.� If you are interested or able to provide web site support, graphics, scripting, HTML etc. or have ideas to improve this site, services you would like please contact us.� The more the community puts into this web site the more we can get out.�� Remember this is YOUR Web site!